By Xah Lee. Date: 2017-06-02 . Last updated: 2018-09-16 . 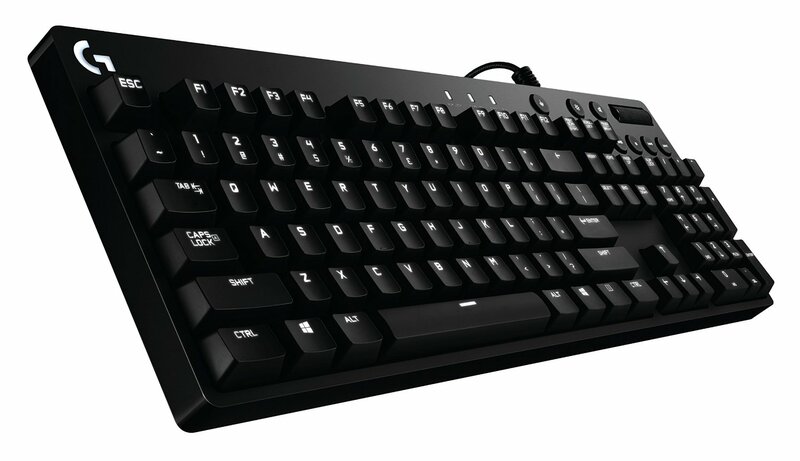 The Logitech G610 came out in March, 2016. The G610 is just a plain looking keyboard, but with white backlight and Cherry MX switches. It's almost exactly the same as Logitech G810 Keyboard, which uses Romer switch. Available in Cherry MX Red or Brown. Red is linear, no tactile bump, lighter resistance, fast. Usually preferred by gamers. Brown has a tactile bump, usually preferred by typist. There's no on-board memory. This means, you can't plug this keyboard into Linux or another machine and expect your settings to work. The space bar however does not match this quality whatsoever. It is loose, rattles and makes a loud clacking sound whenever it is depressed with a regular typing pressure. Question: So without the logitech software installed, what is the default lighting on the keyboard? Would the g610 have issues running under linux it? Answer: I have had my Logitech G610 for 4 months. I use it with my work computer, and from that I can say that the keyboard functions fine without the software installed. The default lighting configuration when you plug in the USB cord is a wave flowing left to right. By holding the lighting key while pressing the numbers 1-5 you can choose between the 5 animated lighting options pre-programmed into the keyboard. If you hold the lighting key and press the number 0 all of they keys will be uniformly lit. By pressing the lighting key you cycle through the 3 pre-programmed backlight brightness settings and the backlight off setting. The brightness adjustment applies to all of the aforementioned settings. I'd rather go with Logitech G710+ Keyboard. You get 5 extra function keys, plus on-board memory.